Carly Koen is the Corporate Relations Coordinator for United Way of Northwest Louisiana. As a member of the development team, she is responsible for fundraising activities, serving as a spokesperson, and assisting with resource development initiatives throughout the year. Carly is a Texas native who grew up in Longview and attended Austin College in Sherman, Texas. Upon graduation, she joined Teach for America, an educational nonprofit that confronts educational inequity through teaching in some of the most underserved communities in the United States. She was placed in the heart of the Mississippi Delta to teach 4th grade math in a small rural community, where she strove to provide her students with opportunities to learn, grow, influence, and lead. Her work with students in the Delta sparked a lifelong passion for education and service. 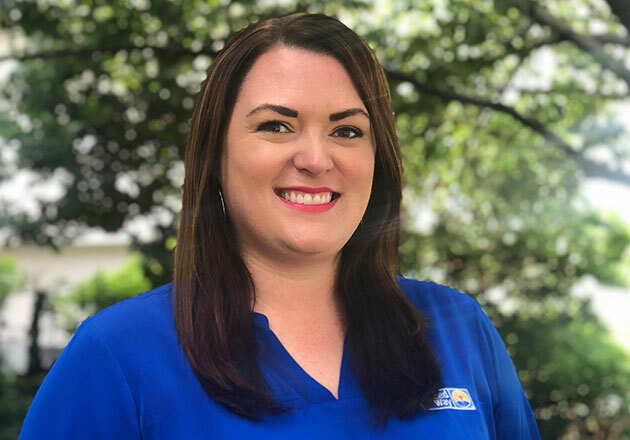 She spent the last few years serving students in our area through her work with Junior Achievement of North Louisiana, and she is excited to bring her years of experience working for nonprofits to United Way to help further their mission and improve lives in Northwest Louisiana. In her free time, Carly loves reading, traveling, and spending time with friends and family. She has lived in Shreveport for the past 4 years and has loved making it her home. She also enjoys exploring the local area, so if you have any recommendations for her, be sure to let her know!